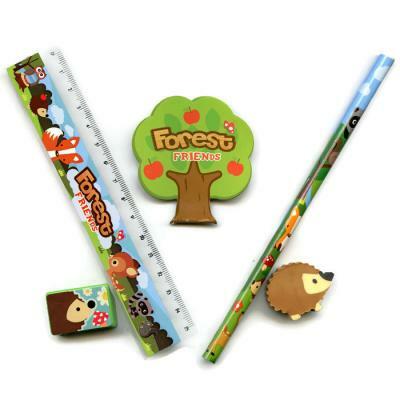 Woodland Animal themed stationery set. Includes ruler, pencil, rubber, notepad and sharpener. Contents may vary slightly to picture.